You might think that worst thing that could happen to you as a restaurant owner or manager would be to have empty tables. But the ugly truth is that empty tables won’t cost you nearly as much as losing your employees. Unfortunately, employee turnover remains one of the top ways that restaurants are losing money year over year. According to The National Restaurant Association, employee turnover across the entire restaurant industry was 61percentin 2016 and that percentage is almost twice as high for front-line workers. The shocking truth is that restaurants on average are losing somewhere around $150,000 a year due to employee turnover alone! Why is Turnover So Prevalent in Restaurants? The restaurant industry specifically takes a hit when it comes to employee turnover, and there are several key reasons why this happens. First, restaurants hire the highest percentage of teenagers of most any other industry out there. So, for many front-line restaurant workers, this is their very first job. Second, in most communities, there are several restaurants to choose from when deciding on a job. When restaurant workers hear that people are making more money at another establishment, it’s easy for them to jump ship and get hired somewhere else. And because turnover is such a big problem, most restaurants are usually hiring. Maybe you know your restaurant is hemorrhaging money by losing employees, but how do you find out just how much you’re losing on a per employee level? The Center for Hospitality Research at Cornell estimates that the cost of employee turnover averages around $5,864 per person for a typical front-line employee. 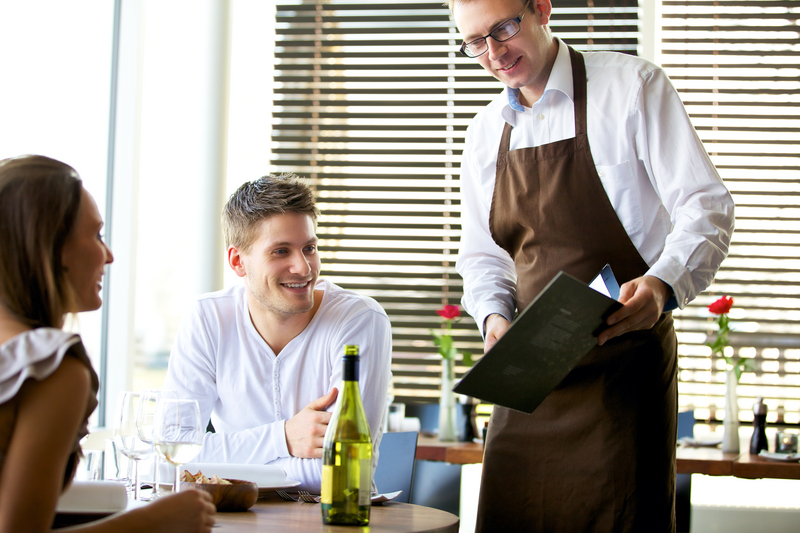 The idea that restaurant employees are expendable has become somewhat of a prevalent one. And while there may be a group of people to choose from when looking to replace an employee, the cost of losing one employee alone makes it worth it to take measures to try to keep your people around longer. We’ve given you the bad news, so before you start thinking all is lost, here’s the good news… there are things you can do to help reduce employee turnover in your restaurant. Here are some of the top ways to get to the heart of your particular employee turnover problem. Whenever possible, conduct exit interviews. Sometimes employees just stop showing up, so we get it, you can’t always do an exit interview. But whenever you possibly can, it’s a great idea to sit down with employees who are leaving and get an understanding of why. Encourage them to be honest so you know the REAL reason they’re leaving. What you want to accomplish by performing these interviews is to identify trends. For example, if most of your employees are leaving because of pay, that’s something you’ll want to think about changing. Analyze Management. During your exit interviews, management might be something you uncover as a problem. If many of your employees are leaving because they have an issue with management, it would be in your best interest to find out what’s going on. Better to replace one manager than multiple front-line employees. Recognize Top Employees. If you don’t have any kind of a recognition program in place, now may be the time to start one. When your employees feel as if they’re working toward something or feel that their contributions matter, turnover reduces dramatically. Including a cash incentive and corporate recognition is a great way to let employees feel appreciated and feel that they have a place in your company. Do Your Research When It Comes to Pay. Low pay does not save you money in the long run. What you save in wages now, you’ll more than pay for in employee turnover costs. What you want to do is research what competitors and other similar local establishments are paying, and make your offering competitive with that. When it comes to quality employees who will stick around, you get what you pay for. Be Conscious of Hours. This can be a difficult thing to manage, but if certain employees are being overworked (generally because they’re good at what they do), you could cause them to burn out. Your employees need to feel that they can take a day or two off if they want to. On the other hand, many employees leave because they feel that they’re not getting enough hours. Make sure you’re communicating with your staff about their hourly needs regularly and try to accommodate them within reason. Offer Development Opportunities. Young employees in every industry value development opportunities, sometimes as much as they value competitive pay. Whether you start a mentorship program, or simply provide them with advice, tricks and opportunities to increase their tips, showing them that you’re invested in their success it a key way to keep them around. Know Your Numbers. Once again, it’s better to invest money up front than to slowly lose it because of employee turnover. It’s vital to your success that you implement a software that helps you track labor, monitor expenses and see how turnover is effecting your bottom line. Of course, we recommend checking out Decision Logic Restaurant Management Software to help you meet these needs and more. Because of the nature of the restaurant industry, employee turnover will probably always be something that you have to worry about. But if you follow our tips and keep your finger on the pulse of your business at all times, you can ensure that your employee turnover numbers will be lower than the national average. Choosing the right employees, paying them the right amount, treating them right and implementing the right software will keep you from becoming an employee turnover casualty in the restaurant industry. 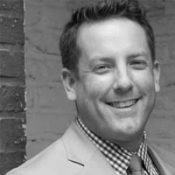 Ryan Mack is CEO at Decision Logic, a restaurant management software that gives operators visibility into real-time company performance to reduce food and labor costs and increase company profitability by two to four percent.